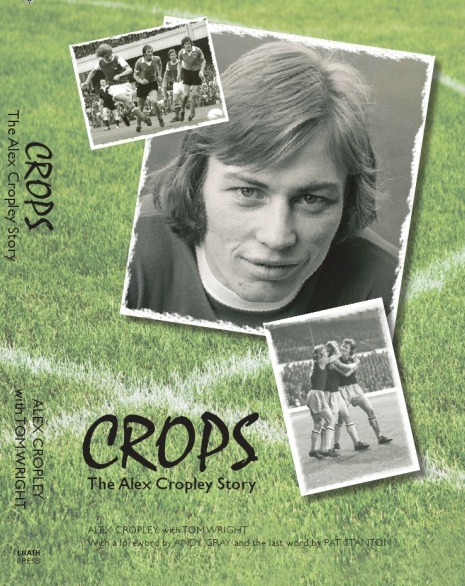 Over 200 fans braved the terrible weather conditions and copies of the book flew off the shelves as Hibs’ greats such as Pat Stanton, John Blackley, John Brownlie, Eric Stevenson, Neil Martin, Peter Cormack, Jim Black, John Fraser, Billy Murray and of course the start of the show Alex Cropley happily lined up to sign autographs. If that wasn’t enough excitement, a DVD of the Turnbull’s Tornadeos in action, including a certain game at Tynecastle where Alex scored twice was playing in large screen TVs in the Gallery Lounge and reminded those who needed reminding how good that team was at their peak. 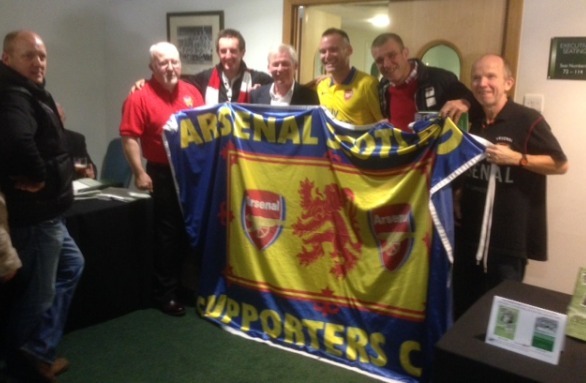 Of course Alex wasn’t only a legend at Easter Road, and a contingent from the Arsenal Scotland Supporters Club including Chairman Martin O’Donnell and Vice Chairman Fraz Mackenzie also attended the event to pay tribute to their former player who is still fondly remembered by Gunners’ of a certain age. 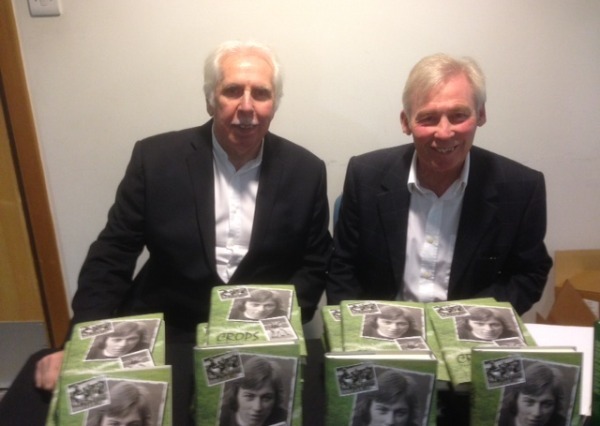 Afterwards former club captain Pat Stanton said: “That time was a special time here and I always look back fondly to when Eddie (Turnbull) was the manager and John Blackley and John Brownlie were playing. We had all those tremendous players and were one of the best teams in Britain at that time and I feel very fortunate to have played then. Former coach John Fraser said: “My first memory of Alex was when I was in charge of the reserves. We were at Arbroath and after the game I had to run him home and I thought that he should have been in his bed at that time of night as he was only a young laddie. Alex’ playing history was highlighted in the Edinburgh Reporter earlier this week.